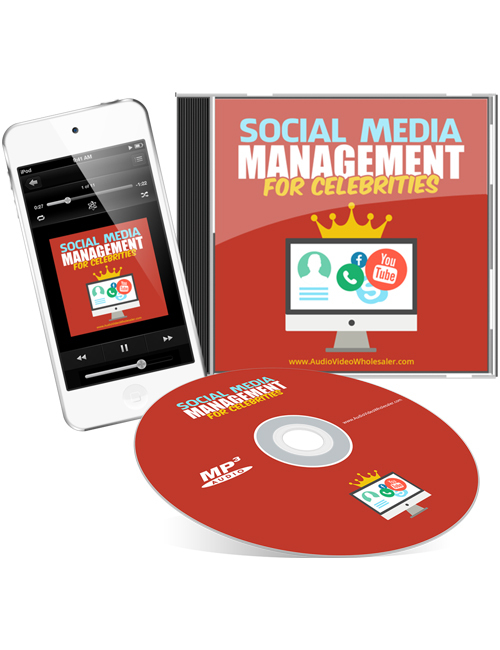 Social Media Management For Celebrities is an eye opening 4 part audio that shows the growth of social media in the celebrity world. It can take a lot of work for a celebrity to live day to day while at the same time keeping their celebrity status at the forefront. With the various social media platforms out there including Facebook, Twitter, Instagram, etc, celebrities remain active across the board to keep relevant and build their fan following. But the most important thing about it all is that celebrities aren’t always fully active themselves online due to their busy schedules and often require a team to manage a lot of things online. These positions are commonly known as celebrity managers or social media account managers. The job certainly sounds fun and interesting. This audio shows you how you can get involved in the celebrity management industry if you’re a fan of celebrities.